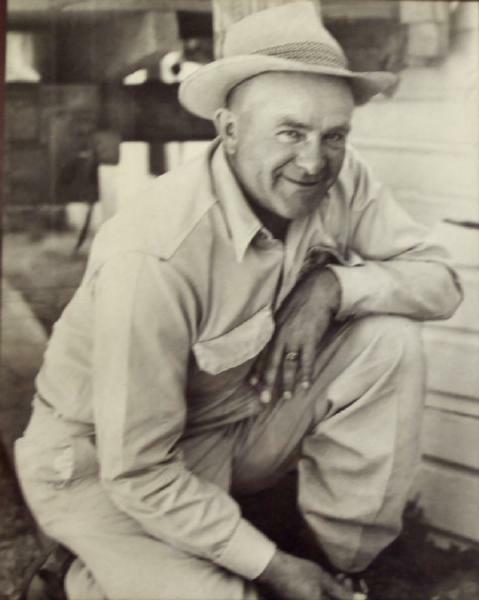 Charles Ellis Davies was born on 2 December 1903 in Lead, Lawrence County, South Dakota. Anna Augusta Rosengren appeared in the US federal census of 1 January 1920 in Lead, South Dakota, at 412 Miners Avenue. Other members of the household included Charles Ellis Davies, Ross Daniel Davies. The following appeared on 4 April 1924 in the Lead Daily Call: Charlie Davis and Alexander Rentto are making good at Brookings. The following appeared on 29 December 1927 in the Lead Daily Call: Charles Davies of Lead, who is attending state college at Brookings, has been appointed head of the committee on plans and engineering for the forthcoming Little International Livestock and Grain show scheduled there for February 10. He was educated at The State College of Agriculture & Mechanical Arts, Brookings, Brookings County, South Dakota, graduating 10 June 1929 with a Bachelor of Science in the Division of Agriculture. Ross Daniel Davies and Marie Josephine Anderson appeared in the US federal census of 1 April 1930 in Brookings, South Dakota, at 919 Eighth Avenue. Other members of the household included Charles Ellis Davies, Marion Jean Davies. He was working with the USDA Barberry Eradication Program, according to the 1930 census. The common barberry, as host to wheat stem rust, was a serious threat in wheat-growing areas. He married Emma Elvira Mattson, daughter of Alexander Mattson and Emma Josefina Reini, on 30 October 1934 in Brookings, South Dakota, at the home of his brother Ross Davies. The following appeared on 9 November 1934 in the Lead Daily Call: Mrs. Charles Davies, a bride of a week, was honored last evening at the home of her mother, Mrs. Josephine Mattson, 7 McClellan street, at a surprise party and miscellaneous shower, by a group of her girl friends. Eighteen guests were in attendance and honors at bridge went to Mrs. Irene Vukotich, Mrs. Esther Robison and Mrs. Arthur Smith. At the conclusion of cards a mock wedding was staged and this was followed by the serving of delicious refreshments. The honor guest received some beautiful and appreciated gifts. Mr. and Mrs. Davies who were married Tuesday of last week at the home of the bridegroom's brother, Ross Davies in Brookings, arrived home Wednesday evening from their honeymoon trip spent at Oshkosh, Wis. They plan to establish their home in Lead. The following appeared on 14 August 1936 in the Lead Daily Call: Mary Jean Davies, little daughter of Mr. and Mrs. Ross Davies of Brookings, is a visitor at the home of her uncle and aunt, Mr. and Mrs. Charles Davies of this city. She arrived here a week ago, and at the completion of her visit the latter part of August, will be taken to Brookings by her uncle and aunt. He applied for a Social Security account number on 24 November 1936 while living at Lead, South Dakota, and employed there by Homestake Mining Company. The following appeared on 26 November 1951 in the Lead Daily Call: Mr. and Mrs. W. A. Ferguson returned Sunday from spending the Thanksgiving weekind with their son-in-law and daughter, Mr. and Mrs. Frank Baird at Englewood, Colo., and Mrs. Ferguson's brother-in-law and sister, Mr. and Mrs. Charles Davies, at Brighton, Colo. The following appeared on 18 April 1958 in the Lead Daily Call: Mr. and Mrs. W. A. Ferguson returned Thursday evening from a two-week trip to Colorado. They were guests at the home of their son and daughter-in-law, Mr. and Mrs. Elton Ferguson, and family in Englewood and also visited mrs. Ferguson's brother-in-law and sister, Mr. and Mrs. Charles Davies in Brighton. The following appeared on 15 August 1959 in the Lead Daily Call: Mr. and Mrs. William A. Ferguson were feted at a golden anniversary dinner Friday evening at the Lead Country Club by their children, Mrs. Frank Baird, Helena, Mont., William Ferguson Jr., Winona, Minn., and Elton Ferguson, Denver, Colo. Twenty-seven members of the family were present for the signal event. Jan. 18, 1910, was the honored couple's wedding date and their children decided to celebrate the event during the summer when travel to the Hills is easiest and the scenery is at the peak of its beauty. Those present included, besides the honored couple, Mr. and Mrs. Baird, Marilyn Baird, Helena; Mr. and Mrs. Ferguson Jr., Barbara, Margaret, Joe, Betty, and Billy Ferguson III, Winona; Mr. and Mrs. E. Ferguson, Debra Ann, Denver; Mr. and Mrs. Ralph (Pete) Mattson, Hot Springs; Mr. and Mrs. Charles Davies and Ross Davies, Brighton, Colo; Mr. and Mrs. E. L. Frazier, Mrs. Ted Henry, Seattle, and Mr. and Mrs. Walter Mattson, John and Jim, Lead. Hubert J. Mattson, Cold Water, Mich., and Jalmer M. Mattson, Tacoma, Wash., brothers of Mrs. Ferguson, were unable to be present. The following appeared on 10 September 1960 in the Lead Daily Call: Charles Davi[e]s, Brighton, Colo., formerly of Lead, visited Friday and Saturday with Mr. and Mrs. Walter Mattson, Mr. and Mrs. W. A. Ferguson and Mr. and Mrs. George Klingler. Davi[e]s is married to the former Emma Mattson, sister of Mattson and Mrs. Ferguson. The following appeared on 22 June 1963 in the Lead Daily Call: Mr. and Mrs. Charles Davies, Brighton, Colo., left Saturday after visiting her brother-in-law and sister, Mr. and Mrs. W. A. Ferguson and her brother and sister-in-law, Mr. and Mrs. Walter Mattson and family. Mrs. Davies is the former Emma Mattson of Lead. The couple arrived Thursday. In June 1979, Emma and Charles Davies posed for a photo on a wooden bridge. The SSDI lists Brighton, Adams County, Colorado, as the last residence of record of Charles Ellis Davies. Charles Ellis Davies died in September 1982 at age 78 in Colorado. Emma Elvira Mattson became a widow at his death.